That is one question so many of you ask me — and grown-ups ask it too. ‘How did you begin writing, Miss Blyton?’ Well, let me tell you this straightaway. I meant to be a writer from the tmie I could read and write, even before that, I think. There are some children who know from the beginning what they want to do, and mean to do. Usually those children have a gift for that particular thing. They feel impelled to write, or to compose tunes, or to paint pictures. It is something they cannot help, something that is given to them when they are born. How fortunate they are! To use — and to use as perfectly as they are able to. All gifts much be practised and trained, a great deal of hard work must go into that person’s life, unremitting, never-ending work, every minute of which is worthwhile. No idling, no slacking, no half-measures — a gift is such a precious possession that it must be trained to perfection. If a child has a gift, then I think it should be developed and encouraged as far as is possible in a child — but first and foremost the child should have an ordinary, natural childhood, and above all he shouldn’t be spoilt, pushed on too much, or made conceited. His gift will flower all the more if he has a sensible childhood, many many interests, and has plenty of character. So, my dears, if you have any ‘gifts’, don’t expect people to turn you into a horrid little ‘prodigy’ and make you grown-up long before it’s time! Ever since Hachette won the licensing of the Enid Blyton brand, the firm has ensured that the books are constantly available and at reasonable prices too. Generations of readers have grown up on Enid Blyton’s adventure stories, school stories, magical stories etc. They have sparkled the imagination of young readers worldwide. 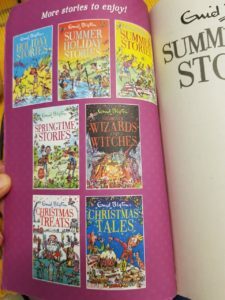 It has also helped ressurect many of the lesser known Enid Blyton stories in special published bumper anthologies where the original dates of publication have been included. Some of the stories were published as early as 1925! Owning the license to publish Enid Blyton stories has enabled Hachette to consider experiments in children’s literature. For instance, the publishing firm commissioned Pamela Butchart to write a new Secret Seven mystery called Secret Seven: Mystery of the Skull. Aimed at a new generation of readers it has a lively pace of writing. In all likelihood introducing a brand new book is smart business acumen too. It ensures that the copyright period of this story will be active for a long time to come which is lifetime of the author + specified time period in the particular country. The book is published under the co-authorship of Enid Blyton and Pamela Butchart. Enid Blyton (1897-1968) influenced many young minds. Generations of kids have grown up on Blyton stories dreaming of scones and clotted cream, picnic baskets, making invisible ink using orange juice, reading of magical lands, fairies and pixies, of high school stories and adventure stories. Many of Blyton’s readers of the past years are now well-established children’s writers in their own right. People like Michael Morpurgo, Andy Griffiths, and Jacqueline Wilson have become household names. 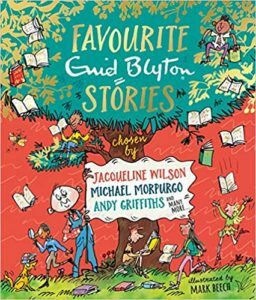 Now Hachette has brought out a scrumptiously illustrated hardback anthology of prominent children’s writers introducing their favourite extract of an Enid Blyton story. It is called Favourite Enid Blyton Stories. Every story is prefaced by a short piece by the modern day author reminiscing about discovering Blyton and her fantastical world. There are many gems to choose from but the last extract by Jacqueline Wilson is particularly charming as it is from Blyton’s autobiography ( published in 1952) and which sadly now seems to be out of print. 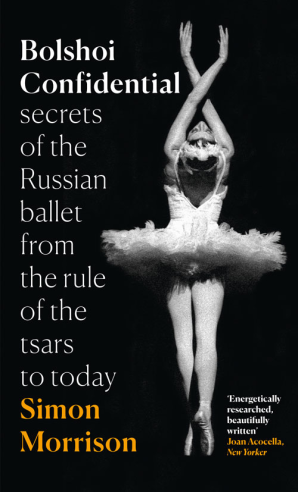 Here’s hoping that along with all the other popular titles The Story of My Life is also published soon. 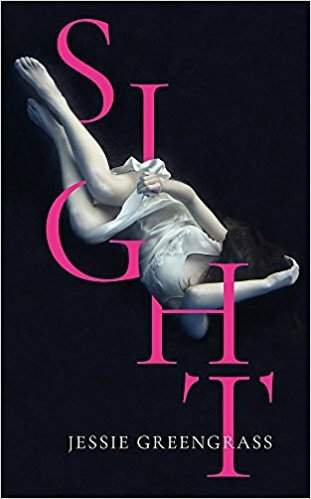 Jessie Greengrass’s debut novel Sight is about an unnamed narrator pondering whether to have a child or not. I wanted a child fiercely but couldn’t imagine myself pregnant, or a mother, seeing only how I was now or how I thought I was: singular, centreless, afraid. For seven weeks and three days Röntgen existed in a private world transformed for him and him alone, and perhaps this too was a part of his later bitterness: that despite this experience of revelation, the conferral on him of a scientific grace, afterward nothing was different at all, and although he had seen through metal and seen through flesh to what was hidden, and although he had known, or thought that he had known, its nature, what had been left afterwards was only so much quibbling on the bill. Similarly mothering her firstborn, remembering the death of her mother due to cancer while the narrator herself was in her early twenties leaving her an orphan, sharing her fears with her partner Johannes whether to have the second baby or not, while wondering if she is capable of the responsibility — these are intensely personal experiences for any woman more so for the narrator. Pregnancy is a very female experience that is repeated number of times over with every mother-to-be and yet remains an intensely intimate and subjective experience. Towards the end of this section she realises she has “outdistanced her anxiety” and wants the second child. In the second section the narrator introduces her grandmother, Doctor K, and Sigmund Freud — both psychoanalysts. Her childhood memories of spending holidays with her grandmother who worked as a professional psychoanalyst while caring for her granddaughter and on those rare occasions for her own daughter. The narrator recalls her mother telling her how when she was a five year old girl her mother, Doctor K, would insist upon analyzing her dreams. Result was the little girl stopped dreaming! It is a jumble of memories shared by the narrator that are at once intimate and intertwined and yet involving distinct individuals and personalities, much as in the way the network of blood vessels connect the unborn baby in the womb to its mother. Similarly Sigmund Freud’s biography and analysis of his patients including daughter Anne are interspersed with that of the personal narrative. …the past is as prosaic as the future and the facts about it only so much stuff. To pick through dusty boxes, to sift through memories which fray and tear like ageing paper in an effort to find out who we are, is to avoid the responsibility of choice, since when it comes to it we have only ourselves, now, and the ever-narrowing come of what we might enact. Growing up, I said, is a solitary process of disentanglement from those who made us and the reality of it cannot be avoided but only, perhaps, deferred … . 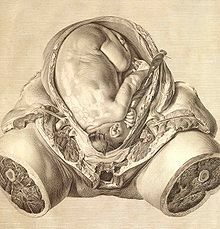 Plate VI of “The Anatomy of the Human Gravid Uterus” (1774) by William Hunter, engraving by Jan van Rymsdyk. In the third section the narrator is pregnant and waiting to give birth so a lot of time is spent in hospital waiting rooms awaiting tests. She intersperses her reflections with that of the eighteenth century Scottish surgeon John Hunter who was also known for his phenomenal collection of specimens. He was very keen to know about anatomies and would pay gravediggers to get him bodies from fresh graves so that he could dissect them and study the anatomy. He worked closely with his brother William Hunter who had in fact introduced him to the medical sciences. The dissections were conducted in the basement of William Hunter’s Convent Garden house where the brothers were inevitably accompanied by the artist Jan van Rymsdyk who rapidly sketched as evident in the illustration on the right. The Oxford English Dictionary definition of “Sight n. the faculty or power of seeing”. Jessie Greengrass studied philosophy in Cambridge and London. Her novel Sight is a literary example of psycho-geography — a combination of personal reminiscences and factual historical content. It is also an attempt to get at a further truth which is about how we see one another and we see ourselves especially the female experience which is most often taken away from human experience. ( Interview with BBC Radio 4, February 2018) It is a constantly evolving process of the individual’s subjectivity vs objectivity. It was first discussed in a similar meditative fashion by the Romantic poet Samuel Taylor Coleridge in Biographia Literaria. It is unsurprising given that Coleridge too like Jessie Greengrass was inspired by John Hunter’s work and its focus on the distinctions between life and matter. As Jessie Greengrass remarks in her BBC interview “having a subjective self is something which allows us privacy but also separates us even from the people we are closest to” and this is the angle she explores as a novelist in her powerful debut Sight. 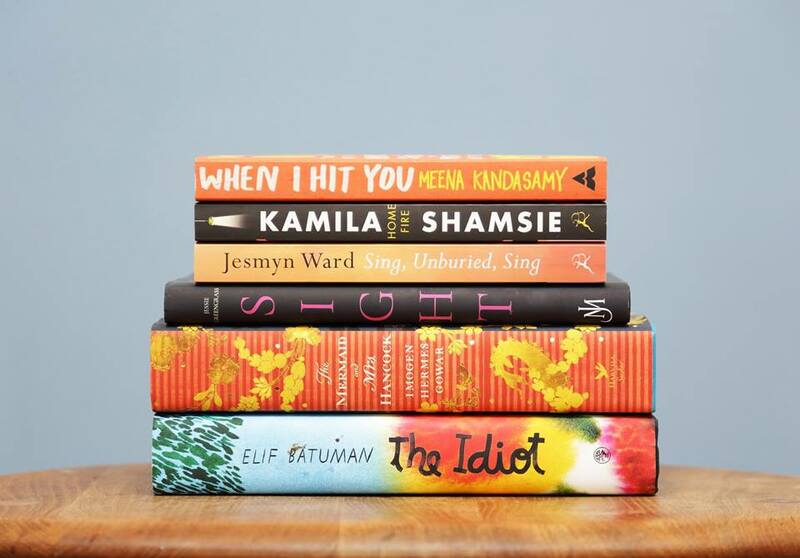 Sight has been shortlisted for the Women’s Prize for Fiction 2018 and the winner will be announced on 6 June 2018. 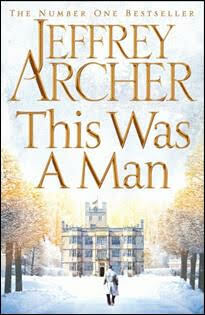 This will be a close finish since the other contenders for the prize are equally strong and experienced women writers. Jessie Greengrass Sight John Murray ( Publishers), an Hachette UK Company, Edinburgh, 2018. Pb. pp. * All pictures are off the Internet. The business of publishing continues to be fascinating. Simon & Schuster India celebrated its 5th year and announced its inaugural list at a wonderful reception attended by prominent publishing professionals. Authors on the list include Natasha Badhwar, Jairam Ramesh, Keki Daruwalla, Samanth Subramanian , Prayaag Akbar , Jagdeep Chokhar, Priyanka Dubey, Paddy Rangappa et al. 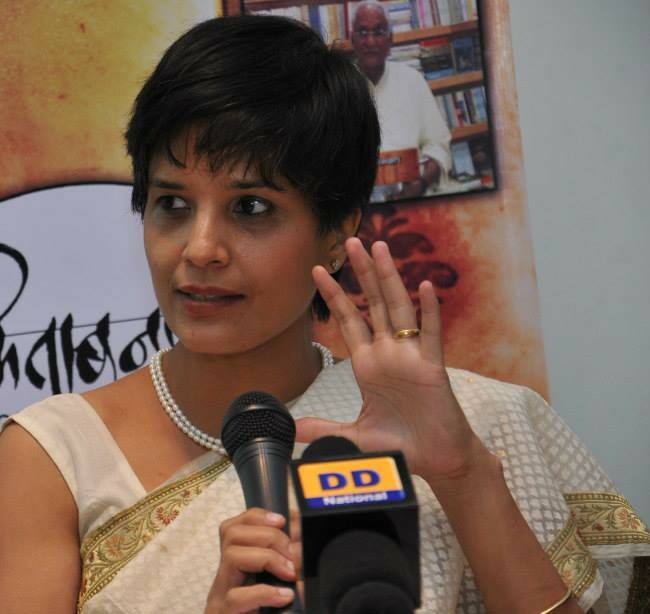 Fascinatingly local authors signed by the Indian office will be offered a global platform. Meanwhile in USA, AmazonCrossing, Amazon’s publishing imprint which focuses on translations, continues to surpass all other publishers in the number of titles it’s doing per year. Their target is to publish between 60-100 titles / year. This emphasis on making world literature visible especially through translations is bound to have a significant impact on global publishing. 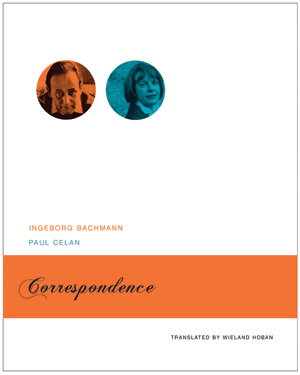 Award-winning publisher Seagull Books’s Correspondence by Paul Celan and Ingeborg Bachmann and translated by Wieland Hoban has been turned into a critically acclaimed film. Paul Celan (1920-70) is one of the best-known German poets of the Holocaust; many of his poems, admired for their spare, precise diction, deal directly with its stark themes. Austrian writer Ingeborg Bachmann (1926-73) is recognized as one of post-World War II German literature’s most important novelists, poets, and playwrights. The 2016 National Book Award winners were announced with Colson Whitehead winning the fiction category for The Underground Railroad. Entry is free. It is on first come first serve basis. 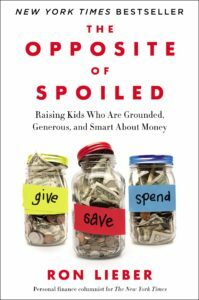 On financial literacy: Ron Lieber’s full of wisdom and excellent tips The Opposite of Spoiled: Raising Kids Who are Grounded, Generous, And Smart About Money is a must. So is the Rupaiya-Paisa series by Mala Kumar ( Pratham Books). A wonderful article by Prathap Nair in the Caravan Magazine on Hitler’s Mein Kampf whose scholarly and heavily annotated edition published in Jan 2016 has already sold more than 85,000 copies. George Takei on the Japanese internment camps in America during WWII, also the focus of Isabel Allende’s brilliant novel, The Japanese Lover ( Simon & Schuster). Interesting little book. It is a translation. A thriller. Detailed as you would expect mystery stories to be. Bulk of the action takes place in 48 hours, although the air crash and mixed-up identities around which the story revolves took place eighteen years earlier. It employs the literary technique of interspersing journal entries with the plot moving in real time as well. 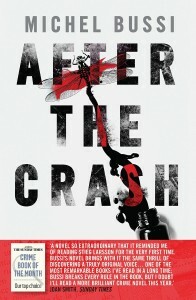 So it is not always the flashback technique in a straightforward narrative but text that appears at the right moment — just when the character reading the journal and reader of After the Crash begin to have questions, they are neatly supplied by the journal. Many readers and critics of After the Crash are putting Michel Bussi in the same league as Steig Larsson and Joel Dicker. The comparison is inevitable since all three authors have written gripping thrillers, each unique in its treatment of plot, style and storytelling and curiously enough, the books are translations that seem to have transcended all cultural barriers and caught the imagination of readers worldwide. Michel Bussi too is a man worth reading. On August 10, 2014, Authors United wrote an open letter decrying Amazon CEO Jeff Bezos’ pressure tactics on Hachette to lower ebook prices. The letter — written by thriller writer, Douglas Preston and placed as a two-page ad, costing $ 104,000, and signed by well-known names such as James Patterson, Stephen King, David Baldacci, Kamila Shamsie, Philip Pullman, Donna Tartt, Ann Patchett, Malcolm Gladwell, Paul Auster and Barbara Kingsolver —states, “As writers — most of us not published by Hachette — we feel strongly that no bookseller should block the sale of books or otherwise prevent or discourage customers from ordering or receiving the books they want. It is not right for Amazon to single out a group of authors, who are not involved in the dispute, for selective retaliation.” The writers printed Bezos’ e-mail id and asked authors to write to him directly. This letter came after months of a public spat between publisher Hachette and online retailer Amazon. No one is privy to the details but it is widely speculated that the fight is about the pricing of books, especially e-books. Authors began to feel the effect of these business negotiations once Amazon stopped processing sales of their books or became extremely slow in fulfilling orders. It even removed an option to pre-order The Silkworm , by J.K. Rowling writing as Robert Galbraith, prompting the author to respond on Twitter where she encouraged her three million followers to order The Silkworm from high street stores and independent booksellers. Ironical given that Amazon’s motto is customer satisfaction. Amazon defended its actions through a letter released on its website, Readers United (http://www.readersunited.com/), and circulated it to self-published authors using their Kindle Direct Publishing (KDP) platform. In it, the company said that for a “healthy reading culture, we have to work hard to be sure books actually are competitive against these other media types, and a big part of that is working hard to make books less expensive.” Amazon is asking for all e-books to be priced at $9.99 or less. Misquoting George Orwell’s ironic comment on the popularity of new format of paperbacks in the 1930s, Amazon wrote that even Orwell had suggested collusion among publishers. It released the e-mail id of Hachette CEO, Michael Pietsch, asking readers to write to him directly to make books affordable since it is good for book culture. Amazon’s shareholders are getting tetchy with the massive losses the company has posted once again. For the current quarter, Amazon forecast that the losses would only grow. It expects a healthy rise in revenue but an operating loss of as much as $810 million, compared with a loss of $25 million in the third quarter of 2013. Losses increased as the firm spent heavily in a bid to expand its business with its first smartphone, the Fire Phone. Bob Kohn has pointed out “the monopsony power of Amazon, which has a current market share of 65% of all online book units, digital and print, is not just theoretical; it’s real and formidable. When a company has dominant market power and sells goods for below marginal cost, it is engaging in predatory pricing, a violation of federal antitrust laws.” There have been articles in USA for the government to enforce the Robinson-Patman Act of 1936, the law prohibits a retailer from wielding its mere size to bully suppliers for discounts. But as Colbert’s experiment of promoting debut author Edan Lepucki’s novel California showed that if readers want, they can procure a book from anywhere. His discussion about it, stemming from his anger for Amazon’s monopolistic practices, propelled California to becoming an NYT bestseller. Writing in the Guardian, Kamila Shamsie says, “All writers should be deeply concerned by the strong-arm tactics Amazon is using in its contractual dispute with Hachette — similar to tactics used in 2008 with Bloomsbury titles. Writers want their books to reach readers; and we want to be able to earn a living from our work. It’s a great irony that the world’s largest bookseller is prepared to trample over both those wants in order to gain a business advantage even while claiming to stand up for readers and writers. Others disagree. Major names in self-publishing including Barry Eisler and Hugh Howey petitioned Hachette asking the publisher to “work on a resolution that keeps e-book prices reasonable and pays authors a fair wage”. This has gathered over 7,600 signatures. Publishing is not like selling biscuits or furniture. It isn’t a question of taste and preference but an exercise in social philosophy. Amazon is primarily a tech-company whose dominance in the book industry is unprecedented. There may be some similarities with what happened in the music industry 10 years ago but publishing thrives on editorial tastes, which requires human intervention, not a series of algorithms promoting and recommending books. The book industry relies upon editors who know the business of “discovering” authors and converting them into household names. This public outrage against the ongoing battle between Amazon and Hachette proves that books are important to the cultural dimension of society. In 1826, Henry Carey employed 30 presses to print editions of Lord Byron’s Don Juan in 36 hours to capitalize on the demand, and to maximize profits in a small window of opportunity before the pirates struck with cheaper editions. With the Industrial revolution in the nineteenth century new printing techniques meant works could be printed much faster than on traditional hand presses. Mass production implied cheaper editions. It also catered to a growing demand (albeit uneven) with rising literacy and disposable income. According to Michael Bhasker in his brilliantly insightful and award-winning book, The Content Machine “at no point is publishing separable from the technological potential of its position”. This could be applicable to the ongoing ugly spat between Amazon and publishers in different territories. In USA, Amazon is renegotiating its ebook deal with Hachette Book Group, New York, seeking better terms. In UK publishers are up in arms against the retail giant since it has asked publishers (among other demands) to give it the right to publish out-of-stock books using print-on-demand (POD). In Germany, the German Publishers’ and Booksellers’ Association has filed an antitrust complaint against the US giant claiming that Amazon’s aim is to negotiate bigger price cuts on the purchase of e-books which the association put at up to 50 percent. Last week the French Parliament voted unanimously in favour of a new law nicknamed “The Anti-Amazon Law”. According to Melville House blog “the new law forbids the combination of free shipping and a 5% discount on online book sales, meaning that sites like Amazon cannot offer consumers free delivery as a way to undercut independent bookshops, and it drastically curtails the kind of discount packages Amazon can attempt.” In the publishing industry income generation comes from selling of content in various formats, using different frames and licensing to territories across the world. There are some schools of thought that view a book as providing a “reading service”, with content that can easily be stripped and repackaged in smaller morsels for distribution on various platforms, catering conveniently to myriad reading sensibilities, at the right price point for the customer. Online retailers specialize in selling printed and ebooks. Amazon began its successful online retail business selling books. It slowly built its business to include self-publishing (KDP), cloud hosting services (Amazon EC2) and now the Amazon Fire Phone. Another data collection and mining online giant, Google announced its decision to invest US$1b on a fleet of satellites to extend Internet access to regions where it is impossible to lay cables. (In June, Google invested $500 million in buying SkyBox.) In India Flipkart announced the launch of its maiden tablet— Flipkart Digiflip Pro XT 712. With the proliferation of electronic devices I would not be surprised to learn if the current contracts signed with publishers will be renegotiated by online retailers to shift from distribution to seeking “universal rights”, in the long run bypassing publishers entirely. Although news reports are buzzing with analysis and speculation about these disputes, details are extremely hard to come by. But it stands to reason, owning copyright to content already being made available on these platforms will negate the need for these service providers to enter into third party negotiations, making them efficient and effective distributors. After all content is the oil of 21st century. Digital inroads into the industry have shown a voracious appetite for length agnostic readers, especially on smartphones and tablets. Byliner’s briefly successful run was a commendable pioneering effort. In its place other publishers will step in. The first to do so is Deca (www.decastories.com), a collective of award-winning journalists committed to releasing “stories, longform and deeply reported stories” once a month on Kindle. Myra Hvistendahl’s “And the City Swallowed Them” is their inaugural offering. It is an enthralling story about the murder of a Canadian model in Shanghai. If this is the benchmark for readers, then it is a high one for publishers worldwide. These changes in the English-language space of publishing will have an effect on other languages too. For now Worldreader is making digital books for early readers available on smartphones in Indian languages such as Bengali, Gujarati, Hindi, Marathi, Punjabi and Kannada. Even Harlequin has begun language experiments in India but it is early days. In the not so distant future many more languages will be represented realistically on the internet, using technological innovation to their advantage, garnering new readers and publishing markets too. My monthly column, Literati, in the Hindu Literary Review was published online ( 31 May 2014) and in print ( 1 June 2014). Here is the url http://www.thehindu.com/books/literary-review/literati/article6069748.ece?textsize=small&test=2 . I am also c&p the text below. I am reading a terrific cluster of books — Rakhshanda Jalil’s A Literary History of the Progressive Writer’s Movement in Urdu (OUP); A Rebel and her Cause: The life of Dr Rashid Jahan, (Women Unlimited); and two simultaneous publications of the English translation of Angaarey — nine stories and a play put together in Urdu by Sajjad Zahir in 1932 (Rupa Publications and Penguin Books). Angaarey includes contributions by PWM members such as Ahmed Ali, Rashid Jahan and Mahmuduzzafar. As Nadira Babbar, Sajjad Zahir’s daughter says in her introduction to the Rupa edition: “The young group of writers of Angaarey challenged not just social orthodoxy but also traditional literary narratives and techniques. In an attempt to represent the individual mind and its struggle, they ushered in the narrative technique known as the stream of consciousness which was then new to the contemporary literary scene and continues to be significant in literature even today. …they saw art as a means of social reform.” She says that her father did not consider the writing of Angaarey and the subsequent problems they faced as any kind of hardship or sacrifice; rather “it provided them with the opportunity of expressing truths simply felt and clearly articulated.” It is curious that at a time when publishers worry about the future of the industry, there are two translations of the same book from two different publishers. Mikhail Shashkin’s disturbing but very readable Maidenhair (Open Letter), translated from Russian by Marian Schwartz, about asylum-seekers in Switzerland. Juan Pablo Villalobos’s Quesadillas (And Other Stories) translated from Spanish by Rosalind Harvey is about 1980s Mexico. Roberto Bolano’s The Insufferable Gaucho (Picador), a collection of short stories, translated from Spanish by Chris Andrews. 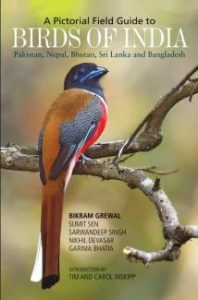 There is a range of European writers to be discovered in English translation on the Seagull Books list, Indian regional language writers from Sahitya Akademi, NBT, Penguin Books India, OUP, HarperCollins, Zubaan, Hachette, Navayana, Stree Samya, and Yatra Books. 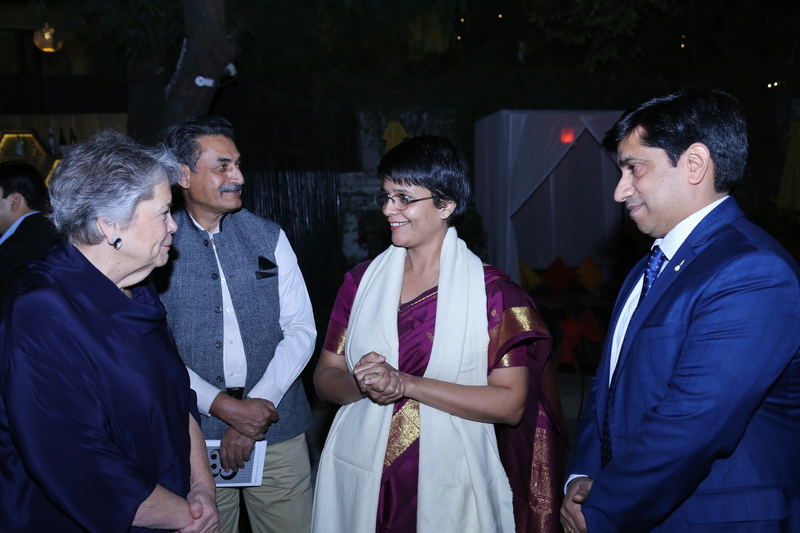 Oxford University Press’s Indian Writing programme and the Oxford Novellas series are broader in their scope including works translated from Dogri and Konkani and looking at scripts from Bhili and Tulu. Translations allow writers of the original language to be comfortable in their own idiom, socio-political milieu without carrying the baggage of other literary discourses. Translated literature is of interest to scholars for its cultural and literary value and, as Mini Krishnan, Series Editor, Oxford Novellas, writes, “the distinctive way they carry the memories and histories of those who use them”. Making the rich content available is what takes precedence. Within this context, debates about the ethics of publishing a translation such as J.R.R. Tolkien’s 1926 prose translation of Beowulf (HarperCollins), 88 years later, seem to be largely ignored though Tolkein described it as being “hardly to my liking”. Linguistic maps available at http://www.muturzikin.com/ show the vast number of languages that exist apart from English. In the seven states of northeast of India alone there are 42 documented languages. Reports such as http://w3techs.com/technologies/overview/content_language/ all indicate that content languages (all though with strong literary traditions) such as Hindi, Marathi, Sanskrit, Punjabi and even Irish are used by less than one per cent of websites. Google India estimates that the next 300 million users from India won’t use English. It isn’t surprising then to discover that Google announced the acquisition of Word Lens, an app which can translate a number of different languages in real time. For now users can translate between English and Portuguese, German, Italian, French, Russian, and Spanish. Indian languages may be underrepresented on the Internet but, with digital media support and the rapid acceptance of unicode, an encoding which supports Indic fonts, translations will become easier. Soon apps such as Word Lens may expand to include other languages, probably even circumventing the need of publishers to translate texts. From this month I begin a new column in the Hindu Literary Review called “Literati”. It will be about the world of books, publishing and writers from around the world. Here is the url to the first column. http://www.thehindu.com/books/literary-review/catch-them-young/article5969576.ece It was published online on 3 May 2014 and will be in the print edition on 4 May 2014. I am c&p the text below. A friend called this morning expressing her delight that her 11-year-old son had finished the pile of books I had lent him. Now he was back to reading Calvin and Hobbes. A father worried about his tennis- and cricket-mad 10-year-old son says the kid only wants to buy sports almanacs. The parents’ bewilderment is incomprehensible given the explosion of children and young adult literature. The focus is so intense that it has generated a lively intense debate along gendered lines. Should books meant for girls have pink covers? Dame Jacqueline Wilson says it is ‘pigeonholing’ and it is putting boys off reading. Of late, there have been articles wondering whether boys are not reading because they are simply unable to discover books that appeal to them. An international imprint I have become quite fond of is Hot Keys, established by Sarah Odedin, formerly J.K. Rowling’s editor. Hot Keys is synonymous with variety, fresh and sensitively told stories and is not afraid of experimenting nor can it be accused of gender biases in content and design. Sally Gardner’s award-winning Maggot Moon, Yangsze Choo’s The Ghost Bride and Tom Easton’s hilariousBoys Don’t Knit belong to this list. Other recently released YA titles available in India are Andaleeb Wajid’s No Time for Goodbyes, which uses the time travel formula to contrast contemporary life with that of the previous generation; Ranjit Lal’s blog Tall Stories, a collection of 100 stories about 10-year-old Sudha and 12 1/2-year-old Lalit, being uploaded weekly; and Joy Bhattacharjya’s delightful Junior Premier League ( co-authored with his son, Vivek) about a bunch of 12-year-olds eager to join the Delhi team of the first ever Junior Premier League tournament. Some imprints that publish books for children and young adults in India are Puffin, Red Turtle, Duckbill, Pratham, Walker Books, Macmillan and Hachette. Creating cultural wealth for children ensures there is little or no loss of cultural confidence, and creates a reading community in the long term. Pratham Books in partnership with Ignus ERG with funding support from Bernard van Leer Foundation is launching a new imprint called Adhikani. These books for young children will be published in four tribal languages of Odisha-Munda, Saura, Kui and Juang. The idea is to make literature in print available in an otherwise oral culture whose stories are not normally visible in “mainstream” publications. They have already brought out 10 books and four song cards with Saura mural art based illustrations. Bi-lingual editions are also being considered in English with Marathi, Kannada, Telugu, Urdu and Tamil. The Pratham-IGNUS ERG experiment is not uncommon. 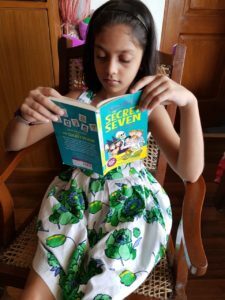 The Good Books Guide: How to Select a Good Book for Children (published by NBT and PAG-E) cites other examples and introduces 800 titles from English, in translation and available in other Indian languages. Today there are so many choices/distractions and readers are increasingly used to personalising their environment to their tastes and interests. 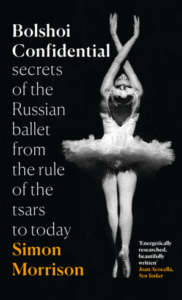 Increasingly it is being done in classrooms, so why not in trade literature as well? Eighty per cent of readers ‘discover’ a book through word of mouth and 20 per cent through social media. The Malayalam edition of Benyamin’s award-winning novel Aadujeevitham (Goat Days) has gone into the 75th edition (it was first published in 2008) and Anurag Mathur’s Inscrutable Americans has gone into the 50th edition (first published in 1991). Internationally, India is a dream destination for publishers. The overall market in physical books was up 11 per cent by volume and 23 per cent by value in 2013 over 2012 (Nielsen, London Book Fair, 2014). Production of books is increasing, but is there a corresponding increase in readers too? Rahul Saini — whose Paperback Dreams is a tongue-in-cheek fictional account of publishing in India — discovered to his dismay that an author friend wanted the synopsis told. Apparently he did not have the time to go through the whole book. Saini says, “Everyone wants to write but no one wants to read. I think this is a dangerous phenomenon. If we don’t want to read then is it really fair to write and expect others to read our books?” Writing takes time and effort and for it to be recognised it has to be of high calibre. The inaugural V. Abdulla Award for translation from Malayalam into English will be given on May 10, 2014 in Kozhikode by writer M.T. Vasudevan Nair. V. Abdulla was the first translator of Basheer.